Data from a pooled analysis showed Ofev (nintedanib; Boehringer Ingelheim) significantly reduced the risk of acute exacerbations, slowed disease progression, and reduced the risk of mortality in patients with idiopathic pulmonary fibrosis (IPF). 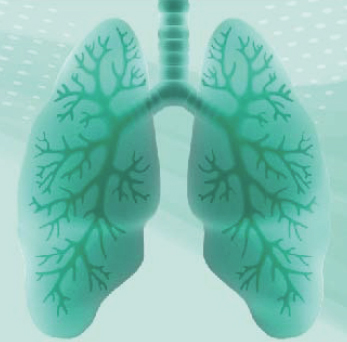 Additional findings are published in Respiratory Medicine. Ofev, a kinase inhibitor, was approved by the Food and Drug Administration (FDA) in October 2014 for the treatment of IPF. The new analysis was based on data from the Phase 2 TOMORROW trial, and two Phase 3 INPULSIS trials that included 1,231 patients with IPF. Combined one-year data showed that Ofev reduced the risk of acute exacerbations by 47% vs. placebo. In general, less patients experienced an acute exacerbation in the Ofev group vs. the placebo group (4.6% vs. 8.7%). Patients treated with Ofev also had a 30% reduction in all-cause mortality (P=0.0954), a 43% reduction in on-treatment mortality (P=0.0274), and a 38% reduction in the risk of death because of an exacerbation or other respiratory cause (P=0.0779) compared with placebo. Treatment with Ofev also slowed disease progression by approximately 50%. The overall adjusted annual rate of decline in forced vital capacity (FVC) was -112.4mL/year in the Ofev group vs. -223.3mL/year in the placebo group. The safety and tolerability of Ofev in the pooled analysis was consistent with safety results of the individual TOMORROW and INPULSIS trials. Researchers concluded that the data further confirms the benefits of Ofev in reducing acute exacerbations and mortality risk in IPF. For more information call (800) 542-6257 or visit Ofev.com.